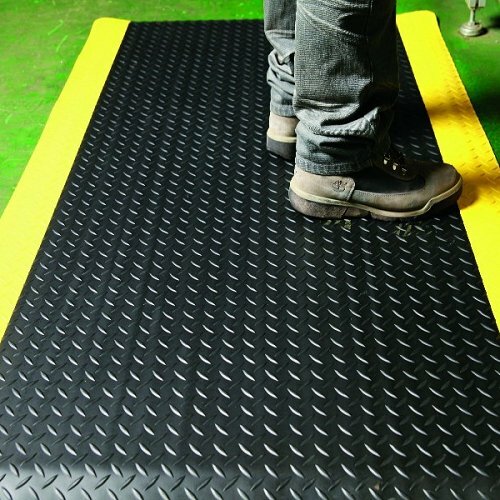 An industrial mat that covers your floors while looking safe and professional! 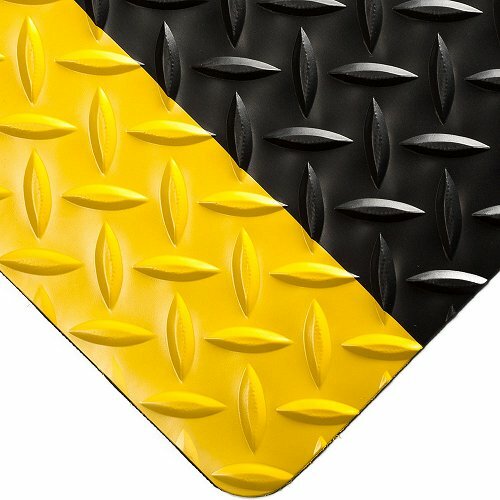 Not only will this mat protect your floors but Diamond Plate Runner is a 3mm thick industrial diamond design with yellow safety borders for visibility. 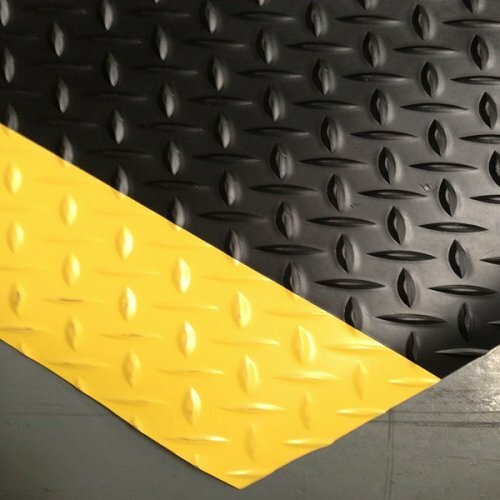 This mat is also resistant to oils, grease and some chemicals and with its yellow borders is also a great way of steering foot traffic around your factory whilst giving your employees insulation from the cold concrete floors. This matting comes in 900mm x 18.2 metre rolls and can be cut to your desired lengths.